Pull up the lever. Then lean back to the desired angle and release the lever. 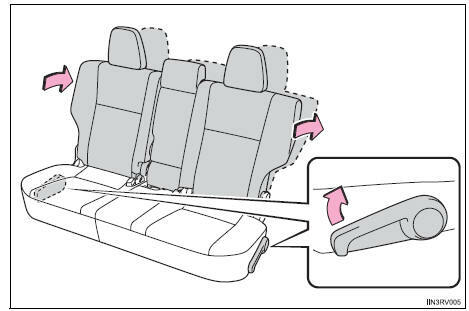 When a person sits in the rear center position, align all seatbacks at the same angle. 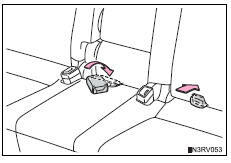 Stow the rear center seat belt. Pull the seatback angle adjustment lever and fold down the seatback. 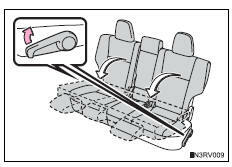 Make sure the seatback is securely locked by pushing it forward and rearward on the top.